An SEO audit is the process of evaluating a website or webpage for characteristics that influence search rankings. The goal of an SEO audit is to highlight areas that require improvement in order to increase ranking position on search engine results pages (SERPs). Audit’s can be performed for both specific pages, and entire websites. What If My Page is Not Indexed? If a query of your brand name fails to produce its home page, it’s possible it has not been indexed. The most common cause of failed indexing is misuse of the robots.txt file. There are also cases where the meta tag of an individual page instructs search engines NOT to index it. Google Webmasters offers a free robots.txt test tool which allows web developers to note errors within the txt file, as well as pages it disallows Google web crawlers from indexing. While the robots.txt file is a macro level instruction for search engines, robot meta tags work on the individual page level, as the inclusion of “noindex” can notify web crawlers NOT to index the page. How Do I Index My Page? The most efficient way to ensure page indexing is with XML sitemaps. This file is meant to be submitted to Google, so that it can be notified of new pages that require indexing. You can learn more about how to build and submit a sitemap to Google, by reading through their Search Console help page. Depending on the industry your website represents, new pages may be added frequently, semi frequently, or infrequently. Regardless, it’s best SEO protocol to help Google interpret and index pages as they are published. 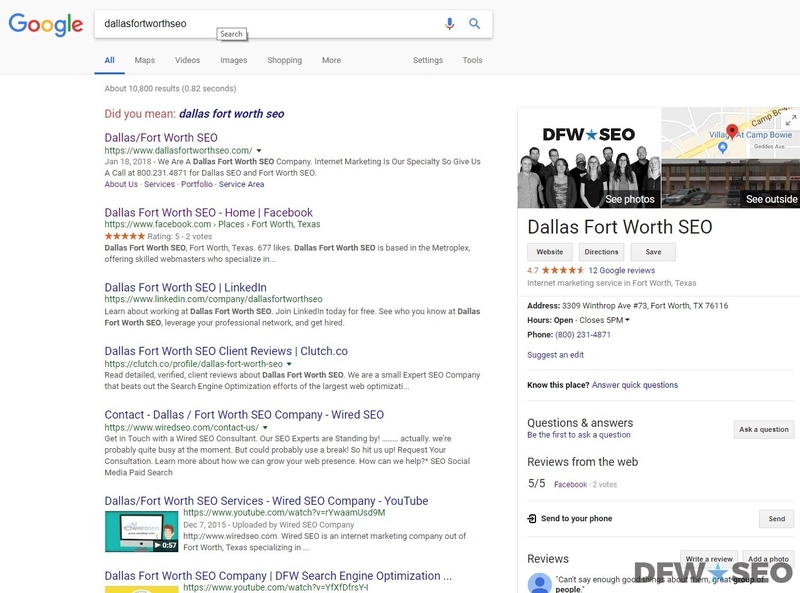 For a a full SEO audit, contact Dallas – Fort Worth SEO. We have experts on staff that specialize not only in search engine optimization, but in website design, content marketing, and social media management. Unlike auditors who can merely report their findings, our team can both diagnose and fix problems with your website’s optimization. We have the range of skills necessary to improve every aspect of your company’s search visibility, and can have you ranking towards the top of SERPs for relevant keywords. To set up an SEO audit from DFW SEO, give us a call today at 800.231.4871.